We are into car leasing to either private or commercial users with affordable price compared to all other car leasing companies. We offer an outright purchase. Make a one - off Our teams payment and take full ownership of the car. We offer competitive price in line with your budget either tokumbo or brand new cars. Payment are made up front after which ownership is transferred to the buyer. Do you have a car but desire a higher vehicle model in exchange? 123Ryde Mega Lease team can help! We will inspect your car to determine its value, you can balance us in full to take immediate ownership of the new car or spread the balance in 12 months or less ,please keep in mind that trade in price we offer can vary depending on number of factors, including car condition level, our current inventory and terms of payment of purchase agreement. Our teams do give out cars to individual for personal use with a 50% down payment while the remaining 50% is spread into period of monthly installments of not more than 12 months. 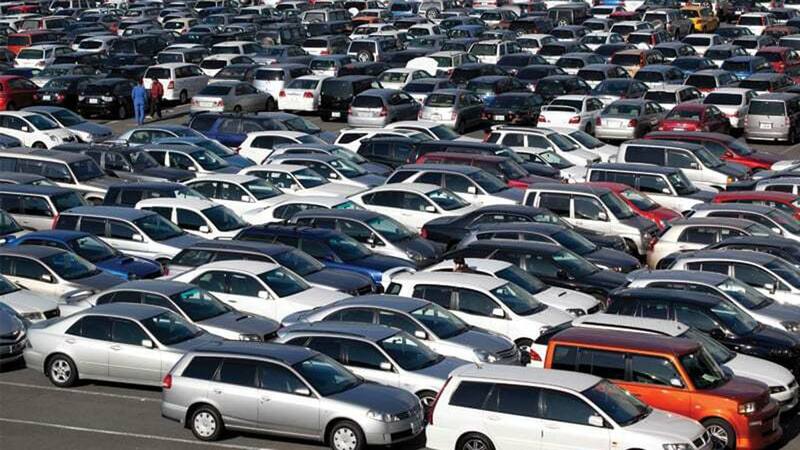 Cars are leased to commercial users/operators at an agreed payment cycle of 16months. This arrangement on commercial leasing is for individuals who may not afford outright purchase or make deposits, but can be committed to a weekly payment requirement within the lease period. Our preferred customers include mobile app taxi users and other licensed commercial operators. We do give out cars to commercial drivers on weekly payment basis. We do offer 3 - 6 months leasing contract, whether you need a temporary car to drive around town or for project requiring a short-term period, we can help. A payment of 40% of the car cost refundable security deposit is required. Our flexible service allows you to change to a longer-term period should you decide to use the car for such purpose. Here the lessee makes payment to lease the car on a short time bases. The lessee only acquires the right to use, not own the vehicle, in return for payments made over the period. The lease payment only covers for the period of lease. Payment of security refundable deposit of 40% of the car actual cost. We do offer a long-term payment plan which is cheaper than short term lease. The long-term payment plan is cheaper than the lease to own. A person has the option to drive the car of his choice for a minimum monthly lease payment. We also manage cars on behalf of our partners by giving such cars to qualified drivers, and we will be remitting the weekly payments into partners account. Please be informed that any other car model request apart from the ones listed above is treated as a special request, and applicants are therefore advice to visit our office for more information or call the toll free line on 08000123123. N:B. 123RYDE MEGA CORP LIMITED OffERS WEEKLY PAYMENT FOR OUR CARS AT THE RATE OF 25,000NGN WITHOUT A HIRE PURCHASE PLAN, IF YOU CANNOT MEET OUR PAYMENT REQUIREMENT STATED ABOVE. We charge 40% interest rate for a 12-month period i.e. 3.33 percent monthly on the actual cost of the car. It means a shorter duration of payment to offset the final cost of car in the purchase agreement, the lesser the amount paid on interest. (C) WEEKLY AND INITIAL DEPOSIT: Combine A and B above to further reduce the payment period thereby earning more discount. It is important you understand the current market value for our car models and compare with our interest rate on the hire purchase period before making your judgment on our offers. These measures are put in place to help us serve you better!! !